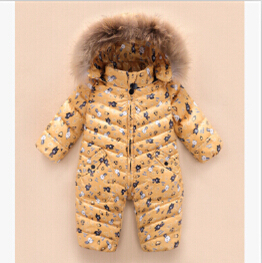 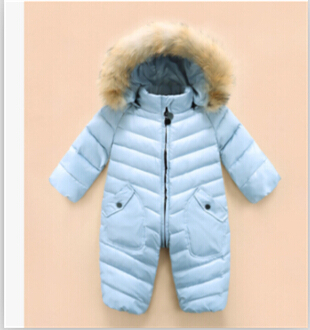 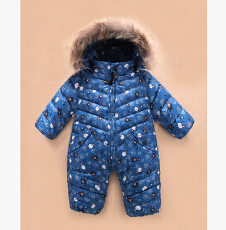 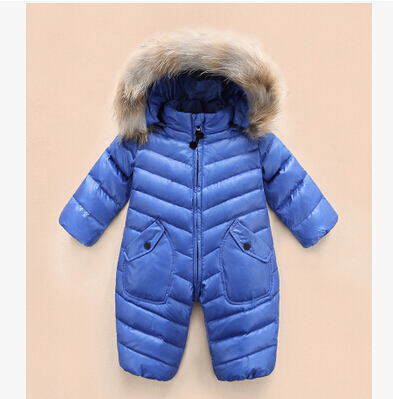 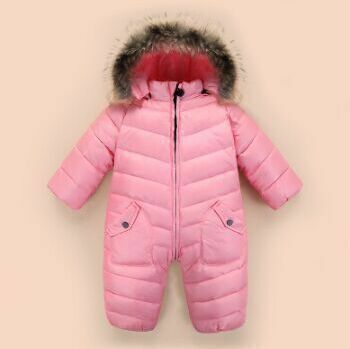 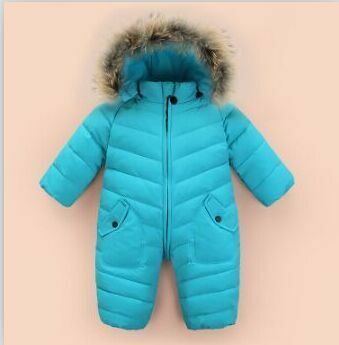 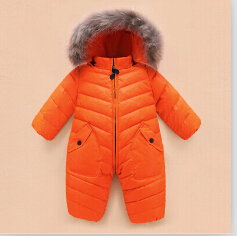 Made from down duck and featuring a fur hood, this quilted baby down snowsuit is guaranteed to protect your baby from chilly temperatures this winter. 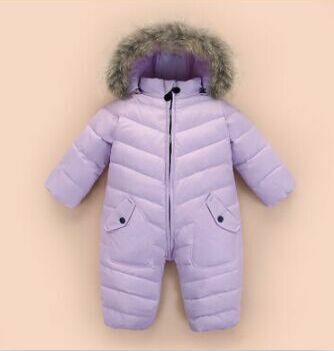 Featuring a front zip closure for easy layering over your babyÕs outfit. 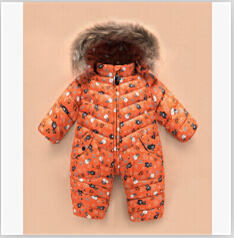 Choose from designs for boys and girls.